Award for the Central Baltimore Partnerships's HCPI Agenda. The success of the HCPI agenda has not gone unnoticed by the people that care about community redevelopment. It received awards in both 2014 and 2015. In 2015, the HCPI agenda won a Maryland Sustainable Growth Award for “Building Smarter Communities.” The Maryland Sustainable Growth Commission put together this video for the award ceremonies, so take a look! 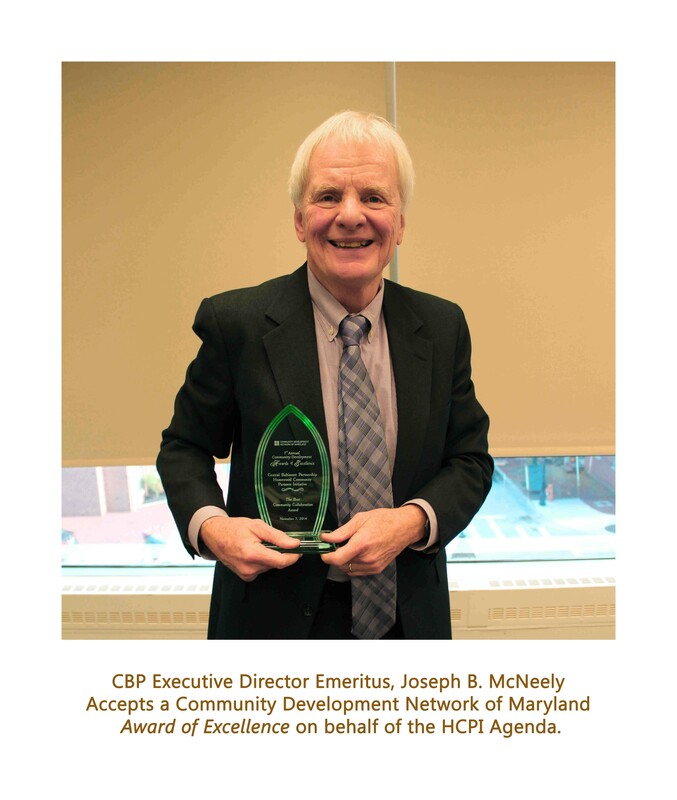 In 2014, the HCPI agenda was recognized with an Award of Excellence Collaboration Award from the Community Development Network of Maryland at the Federal Reserve Bank of Richmond (Baltimore Office).